Studies of 3 pharmacogenomics test panels used to guide selection of an optimal antidepressant drew mixed promise for potential depression symtpoms treatment. Among the 3 test panels, 2 showed to improve chances of remmission from symptoms related to depression, and 1 of these panels increased the likelihood that the selected agent is well-tolerated. The third panel did not evidence either advantage, according to a new review of the effectiveness, harms, and cost-effectiveness of this developing technology. 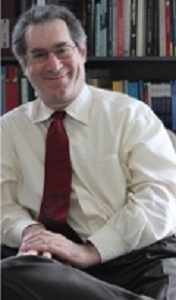 "While there is a plausible clinical rationale for expecting benefits from pharmacogenomics-guided treatment, the actual impact has not been well-established," Mark Helfand, MD, MS, MPH, Director of the VA Evidence-Based Synthesis Program (ESP), Portland, Oregon (pictured), said. The expectation for pharmacogenomics data informing antidepressant treatment, Helfand and colleagues explained, is that the trial-and-error approach to drug selection and dosing can be eliminated based on the patient's unique genetic profile. The investigators found that the panels varied widely in the number and types of genes included, the detail of the reported results, and in the delivery of test results with adequate interpretation of therapeutic implications. The studies of the effectiveness of the test panels also varied in quality, and were included in the review if they compared test-guided treatments against treatment as usual, with appropriate method and design. Helfand and colleagues identified 2 randomized controlled trials (RCTs), 5 controlled cohort studies and 6 modeling studies which met inclusion criteria, among the studies evaluating the ABCB1, the CNSDose, and the GeneSight panels. The CNSDose panel was the only pharmacogenomics-guided treatment that demonstrated a statistically-significant improvement in remission rate, in addition to a greater chance of tolerating the selected medication. In a 12-week course of treatment, one additional patient of 3 genotyped remitted, determined by Hamilton Depression Rating Scale (HAM-D) score of 7 or less, compared to those with antidepressant treatment as usual. The ABCB1 panel evidenced 1 additional remitting patient in 5 weeks for every 3 to 20 genotyped, but without data on medication tolerability. The studies on the GeneSight panel did not provide statistical evidence of improved rates of remission, and the evidence for medication tolerability was judged to be inconclusive. Helfand noted, however, that there is some doubt about the stability of all these findings. He and his colleagues pointed out that there was only a single, small, short-term study of each strategy, and that there were numerous methodological limitations. They called for additional studies in broader populations, and with multiple outcome measures including time to remission and functional capacity. In addition, they recommend that future studies evaluate the clinician's utilization of the pharmacogenomics data. "Studies have shown that despite patients' expectations of clinicians' competency in explaining, interpreting, and applying pharmacogenomics test results in clinical decision-making, a majority of previously surveyed clinicians acknowledged that they may be inadequately informed to do so," Helfand said. The review of the evidence for pharmacogenomics-guided antidepressant treatment was published online April 29 in Psychopharmacology, titled "Rapid Evidence Review of the Comparative Effectiveness, Harms, and Cost-effectiveness of Pharmacogenomics-guided Antidepressant Treatment Versus Usual Care for Major Depressive Disorder"